Enjoy the final mile of the London Marathon! We created a special challenge for all those that took part in The London Marathon this year. 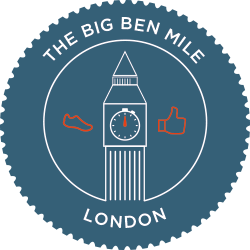 The segment starts at Big Ben and runs all the way to the finish line! This final mile is your chance to soak up the incredible atmosphere and cheers of the crowd as months of training and effort are almost over! Join the London Marathon Club on Strava if you haven't already and share your race story! All participants will receive an exclusive digital finishers badge to mark your milestone! Only those that run the specified segment are eligible for this challenge. This challenge is not affiliated with the London Marathon.